Lasting over twice as long as the 2008-09 war on Gaza (formerly the most-brutal massacre since the Nakba), and killing over 800 more Palestinians than in the attack six years ago, the July-August 51-day offensive killed 2,131 Palestiniansand injured over 11,000, and destroyed tens of thousands of homes, buildings, businesses, hospitals, Gaza's only power plant and other key components of Gaza's infrastructure. Palestinian and foreign activists and journalists within the 40 kilometer-long strip of open-air prison tweeted and live-streamed images more horrific than the best Hollywood productions. Weathered journalists broke down sobbing at the sight of Palestinian civilians, especially children being targeted like prey by one of the world's most wickedly powerful armies and navies. Doctors who have seen the mutilated corpses and scarcely-living bodies of Palestinian elderly, men, women and children many times before were yet still appalled by the brutality of these latest attacks. Worldwide, protesters, journalists of integrity called the bombardment of Gaza genocidal (as Israeli officials and politicians called for genocide). One of the most shocking of many images was that of 4-year-old Saher Abu Namous's half blown-off head, his father cradling him and wailing. Entire families were murdered in this latest Israeli offensive. Not for the first time, the Israeli army bombed schools hosting internally displaced, hospitals (including a rehabilitation hospital for disabled and invalid), and entire neighborhoods. 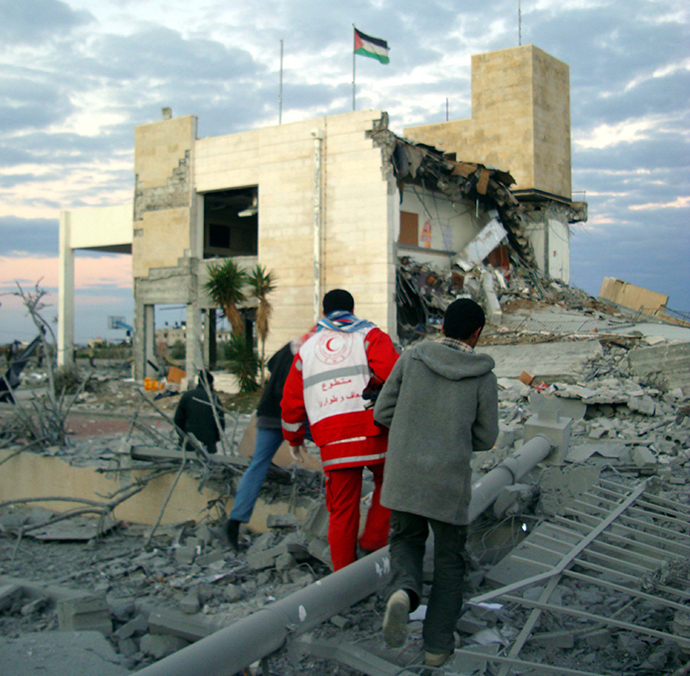 As with prior military operations, the Israelis in 2014 targeted water and sewage lines, electricity networks, hospitals, primary health centers, ambulances and medics, bridges and major roads, key governmental buildings, schools and universities.They went further and attacked water, electricity and sanitation personnel, killing at least 14, the UN's Office for the Coordination of Humanitarian Affairs (OCHA) noted. The resulting electricity, water and sanitation crises are such that until November, power was out 18 hours a day, and just 10 percent of the 1.8 million Palestinians get water once a day (for a matter of hours). As of mid-November, Oxfam reported, power cuts were 12 hours per day in some areas. The Israeli army used the same banned weapons on Palestinians this summer that they've used in the past two massacres, as well as "armour piercing bombs" which have “high explosive capabilities” and were used on Palestinian homes. Weapons-seekers flocked to Israel after seeing the effects of its weaponry and technology. Israel's weapons industry thrives with each massacre of the Gaza testing ground. In September 2005, the 8,500 Israeli colonists finally, unwillingly leave their homes on stolen land. With no Jewish colonists in Gaza, Israel has since been free to lock-down all of Gaza and bomb whenever the whim occurs, with no fear of any Israeli loss of life. 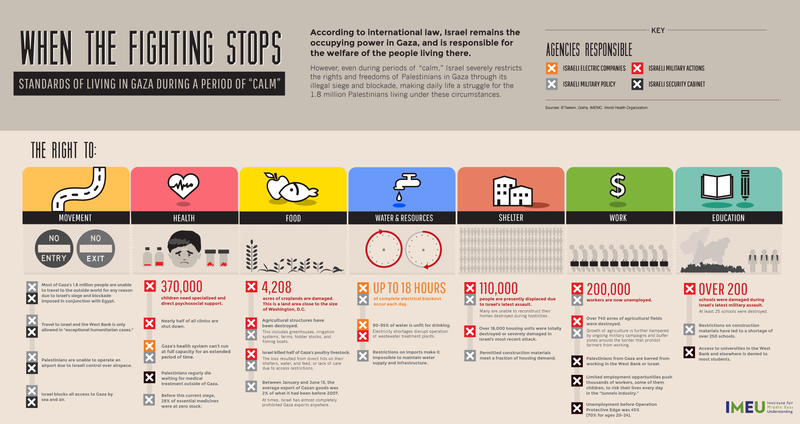 The Israelis have waged wars against Gaza every year or two since pulling their colonists out. 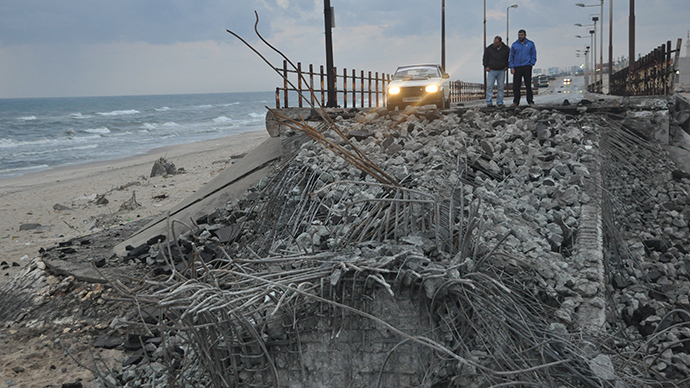 Since the June 28, 2006 Israeli repeating bombing of Gaza's sole power plant—destroying all six transformers – Palestinians in Gaza have neither been allowed to import the transformers and materials needed to rehabilitate the plant, nor offered an alternative solution. Through the now-destroyed tunnels, Palestinians did import smaller transformers and got the power plant hobbling again, but never to full capacity. However, Israel did none of the obliged, nor has it ever paid (in any sense of the word) for the reconstruction of buildings and infrastructure it has repeatedly targeted over the years. The supply of electricity bought from Israel and Egypt doesn't suffice for Gaza's now 1.8 million Palestinians. The crisis impacts on every facet of life: hospital functions, sanitation, water supply, refrigerators and appliances, and education. 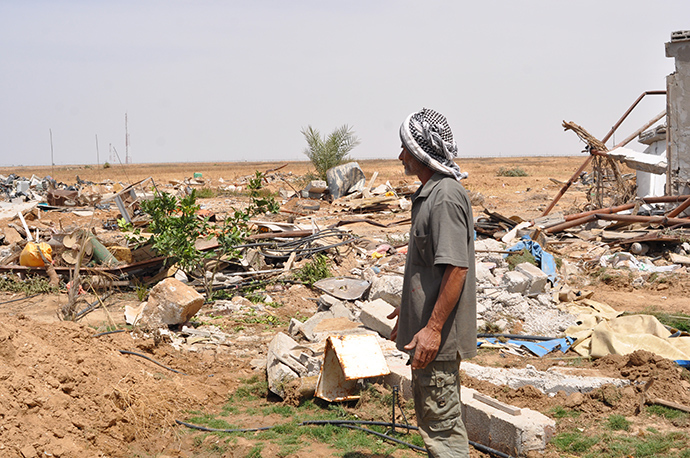 In 2006, B'Tselem noted: “The sewage system is on the verge of collapse.” Mohammed Omer's photos of the village of Um al-Nasser, flooded with overflown sewage in 2007, should have been a wakeup-call if official institutional and NGO warnings are not. At least five drowned in their own sewage, including an infant. A year ago, reports from Gaza showed the misery of Palestinians' homes flooded with a combination of that same overflown sewage compounded by heavy rains. Kids waded through sewage to get to school; elderly were, if lucky, paddled by small fishing boats. This, save the rains, was entirely preventable...if the UN and influential world bodies and leaders truly cared and dared to face up to the Israeli lobby. Power outages, 95 percent undrinkable water, constant fuel and cooking gas shortages, sewage and sanitation crises, a shattered economy (unemployment at 45 percent) and manufactured poverty rendering 80 percent of the population dependent on inadequate and dignity-shattering food aid hand-outs (no vegetables or fruit, high carb, almost no protein); food insecurity (72 percent insecure or vulnerable to food insecurity), stunting (31.4 percent) and anemia (72.8 percent) among children. This is Gaza, and with each passing month, even each day, life is less and less tolerable. In August, 2012, UNRWA questioned if by 2020 Gaza would be a livable place. We don't have to wait till 2020 for Gaza to be declared unlivable: it already is unlivable by any standards. 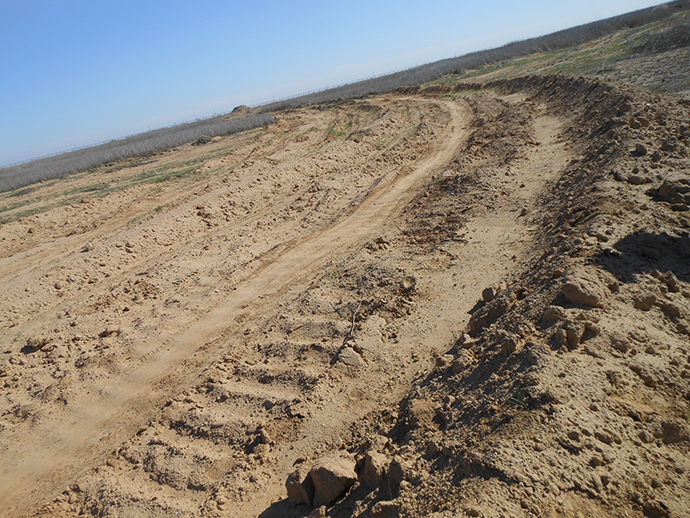 Nahal Oz crossing, closed in 2010, was the primary point for entry of gas and other fuel. And the closed Sufa crossing was notably the main point of entry of construction materials. The sole remaining commercial crossing, Karem Abu Salem, does not have the capacity to allow in the amount of goods needed, assuming the Israelis were to allow them entrance in the first place. Before ever visiting Gaza, I recall reading on how Palestinians overcame these fuel crises. At one point, they used cooking oil as fuel for their vehicles (“Gaza smelled like one big falafel shop,” I was told). They also used their kerosene lanterns (baboor) to cook over, that one I saw. The Israelis learned of their ingenuity and added kerosene to the banned items list. Israel has shattered Gaza's economy in a variety of clever ways: firing on farmers and bulldozing and burning their land; firing on fishers and stealing their fishing boats and equipment; bombing businesses and factories and preventing the materials needed to rebuild; drastically restricting imports. And banning exports save a token few trucks when Israelis need palm leaves for Jewish holidays. Oxfam in December 2014 noted: “Under the blockade, exports from Gaza have fallen to around 2 percent of pre-blockade levels, with devastating impact on the economy. While some extremely limited exports to international markets have been approved, the transfer of produce to Palestinian markets in the West Bank - and markets in Israel - has been banned since 2007. These were traditionally the most important markets for producers in Gaza.” And it isn't only produce. Furniture, clothing, and a surprising number of other goods which once flowed from Gaza's borders are banned from being exported. Aside from Gilbert's heart-breaking observations on the slaughter of Palestinians, he notes poignantly, “The average age is 17.6 years, ...a child ghetto of 1.2 million children and young people are being denied the right to escape the bombs, to fly, because they cannot get out.” This, incidentally, was the third major massacre for Palestinians six years or older in Gaza since December 2008. Six years ago, I was a month into what would be a year and a half stay in Gaza (followed by another cumulative year and a half over the years). 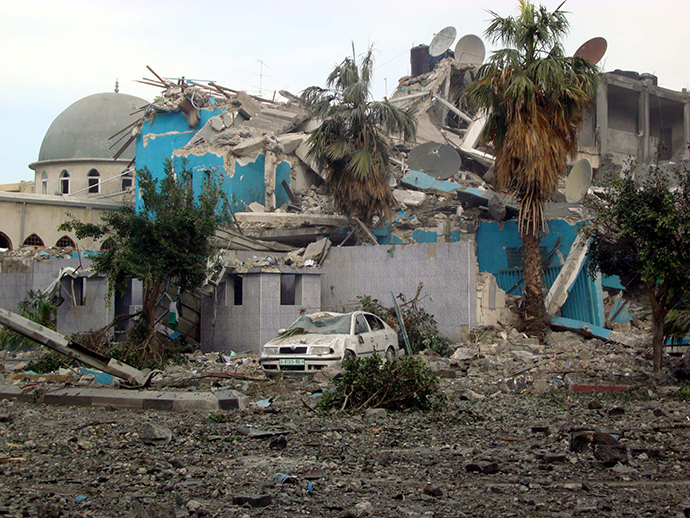 In December 2008, the situation in Gaza was already desperate. Back then, Palestinians in Gaza were already feeling the choke of closed borders, no exports, sadistically-limited imports (between 30-40 items), and the beginning of cold winter months during which they would suffer in darkness without the means to even heat water. The 23-day in 2008-09 offensive killed over 1,400 Palestinians. I shared the three plus weeks of hell, losing my own fiends to Israeli bombs and bullets, meeting tortured parents and families whose children had been shot dead point blank by Israeli soldiers. Like Amer al Helu's infant daughter Farah; like 4-year-old Ahmed al-Samouni with two bullets to his chest; like KhaledAbed Rabbo's 2 and 7 year old children, shot dead by soldiers casually snacking on junk food. Canada's CBC interviewed then-frantic me some days after my medic friend Arafa was murdered by an Israeli dart-bomb shot directly at his ambulance, after the media building I was in was bombed, and after I had seen more mutilated bodies and white-phosphorous-charred skin than I could have imagined. My interview-balancing counterpart, a Canadian volunteering at an Israeli base, gushed about the weather and what a relaxed time he was having... and, oh yes (to the prompting of the CBC host), he did have to run down to the bomb shelter the other day. I'd just finished saying there were no bomb shelters in Gaza, everything was a target, the Israelis were even bombing schools, kindergartens, hospitals. The white phosphorus was a first for Gaza. The flechette bombs (shells packed with thousands of razor-sharp dart-nails) were old news. Reuters cameraman Fadel Shana was martyred by such a shell while filming victims of Israeli shelling in Johr ad-Dik in April 2008. Shana, like other Palestinian journalist maimed and martyred by Israeli attacks, wore the markings of a journalist when targeted. Post-massacre, as I'd walked through the ruins of Ezbet Abed Rabbo to the east of Jabaliya, my friend from the neighborhood (whose mother was killed in the very first minutes of bombings as she walked to buy bread), joked in the way oppressed people do when getting on with life, “they make like art here,” gesturing to the graveyard of houses surrounding us. In November 2012, the Israelis “mowed the lawn” again, murdering over 170 Palestinians. During the 8 days of slaughter, Israeli figures called to “blow Gaza back to the Middle Ages, destroying all the infrastructure including roads and water,” and to “Flatten all of Gaza. There should be no electricity in Gaza, no gasoline or moving vehicles, nothing,” said the deputy Israeli Prime Minister Eli Yishai and Gilad Sharon respectively. "What we have is a largely defenseless population who has been usurped historically, who have been boxed into a ghetto of nearly 2 million people, in a tiny strip of land... and these people haven't got the right to resist? Absolutely Palestinians have the right to resist, and they should have more rockets, they should have better rockets, and they should have a Resistance that can match conventionally one of the biggest genocidal entities on the planet, which is the white, colonial state of 'Israel'." There are daily mini-massacres that go largely unnoticed, whether on the sea, in the Israeli-imposed “buffer zone” or by denying Palestinians the right to exit for health care unattainable within the confines of Gaza. On December 6, Israeli gunboats machine-gunned Palestinian fishers 2-3 miles off the coast, surrounded and abducted 12 fishers, and stole their boats. A few days prior On Dec 3, a Palestinian fisherman was critically injured by shrapnel to his head after Israeli navy shelling, Maan News reported. On November 22, an Israeli soldier shot and killed a Palestinian bird hunter 500 metres from the border, east of Jabaliya, shooting him in the back. The same day, in southeastern Gaza, an Israeli soldier shot a 17-year-old Palestinian in the chest. He was 1500 meters from the border. The combination of Israeli jeeps present at the border and the remotely-controlled machine gun towers make Gaza's border region – the most fertile area of Gaza – a killing field. Naturally, these incidents, daily realities for Palestinians, didn't make the headlines. The 106,000 Palestinians rendered homeless (40,000 of whom are staying in emergency shelters; many others living in the shells of their homes or in ramshackle tents) face cold rains and flooding. In its latest situation report, UNRWA notedextreme weather in Gaza and said a state of emergency was declared on November 27 “in Gaza City after severe flooding over a 48 hour period,” noting the evacuation of hundreds in flooded areas in Sheikh Radwan district. 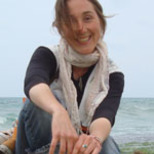 Sara Roy notes the insidious nature of what rebuilding plans there are: Israel gets to decide who (if any) receive cement and building materials, and a “permanent and complex permit and planning system similar to the one Israel uses in Area C of the West Bank, which is under total Israeli control,” is being planned for Gaza. Egypt has kept the Rafah crossing closed since October 25, justifying this after a suicide bomb killed 33 Egyptian soldiers, even though there is no evidence linking the bombing and Gaza. Only as of November 26 was the crossing briefly opened (for 2 days), allowing just 300 Palestinians in Egypt to return to Gaza, and briefly again from November 30 to December 2. A reported 6,000 more Palestinians remain stranded in Egypt or third countries. In early December, OCHA reported that 10,000 Palestinians wait to exit Gaza, including over 1,000 medical patients. Egypt has also long-since destroyed the network of tunnels which were known as Gaza's “lifeline” for a very good reason: they imported the goods, including building materials, that Palestinians needed and Israel bans. They also served as an alternative conduit to the normally closed Rafah crossing, and having seen them I can attest they were far more efficient than the bureaucracy of the Egyptians' border crossing terminal. But they are largely extinct, and reports have Egypt creating a buffer zone extending 1 km to ensure the tunnels don't re-manifest, and to tighten the already strangling noose on Palestinians in Gaza. So there is an increased awareness of the unjust plight of Palestinians in Gaza and throughout occupied Palestine. But as we approach the end of the year, a time when much of the West will be preoccupied by holiday shopping and celebrations, will this awareness be enough to sustain pressure on Israel and prevent a new massacre of Gaza? Will it be enough to pressure both Israel and Egypt into allowing building materials into Gaza and opening the Rafah crossing to Palestinians needing to re-enter or to exit Gaza? Will it be enough for American citizens to call for an end to the billions of dollars of aid given to Israel, let alone munitions, including a reported 3,000 more precision-guided munitionsof the type used over the summer? Or for British citizens to demand Britain end arms export to Israel? The status quo of Palestinian suffering in Gaza cannot continue as it has these past 8 years.